IS YOUR BUSINESS READY TO OPEN? 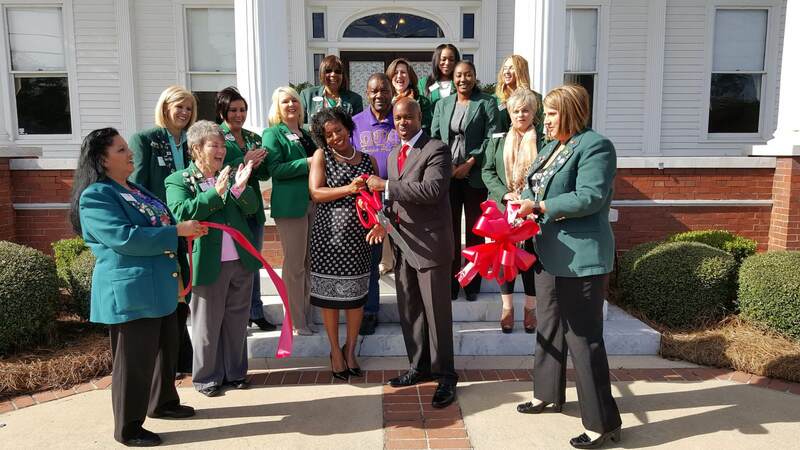 WHY HAVE A RIBBON CUTTING? What better way to advertise the opening of your new business! Let us share your excitement with our community. 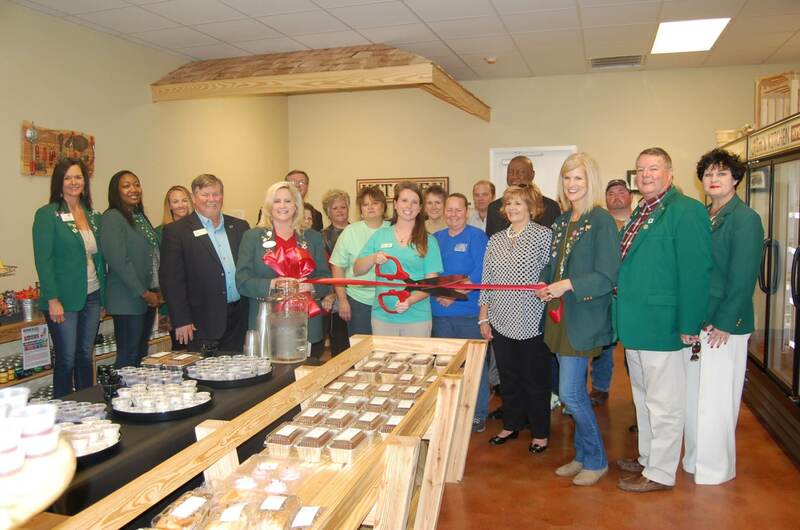 Candidates that are eligible for a Ribbon Cutting must be a member of the Chamber, and must be paid up through one year. 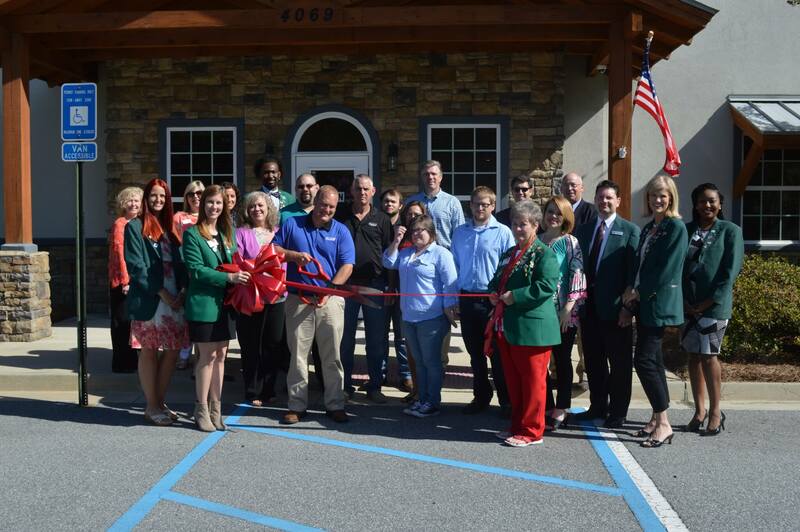 Ribbon Cuttings are also a great way to celebrate and introduce a new product/service your existing business is now offering, or a remodel, or to mark a milestone! 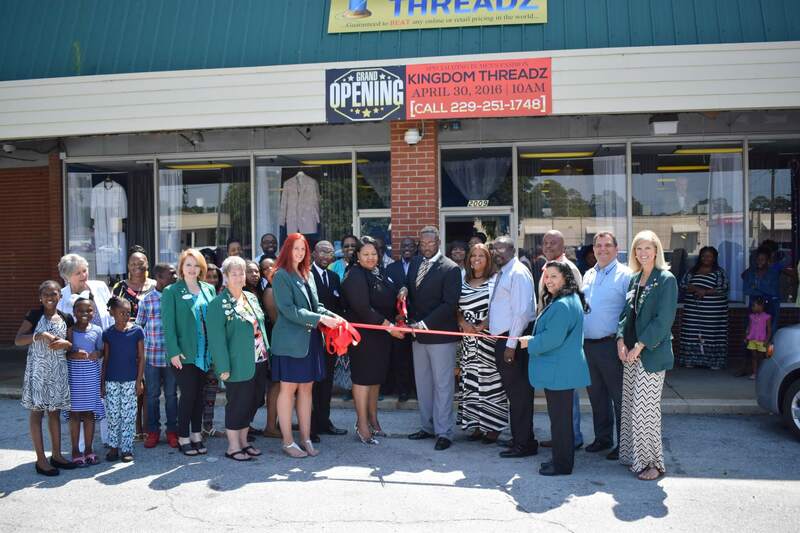 Contact Leslie Harris or Karil Brockington to schedule your Ribbon Cutting. What goes on at a Ribbon Cutting? At a Ribbon Cutting, the coordinator will gather everyone together, set up the group for a photo, and then call on one of the Ambassadors to speak on behalf of the Chamber. The Ambassador will say a few words welcoming your business to the community and wishing your business success. The Ambassador will ask your company representative to share a little bit about the company. Once you are finished, a few photos will be taken, one before the ribbon is cut and another as the actual ribbon is being cut. Who should I have at the Ribbon Cutting? We encourage you to invite anyone you wish to be at your Ribbon Cutting. Some companies invite family and friends, others invite their VIP customers. Please feel free to use this opportunity any way you wish. Some companies have an open house with refreshments, while others just feature their employees. It truly is your day, plan it however you wish. Can I invite my pastor to say a prayer at my Ribbon Cutting? Absolutely, you may invite anyone you wish to speak. Do I need to have food? Your Ribbon Cutting is your day; please feel free to use it as an opportunity to host your friends, family and customers. If you are planning to invite a large group, refreshments are nice, but not necessary or required.